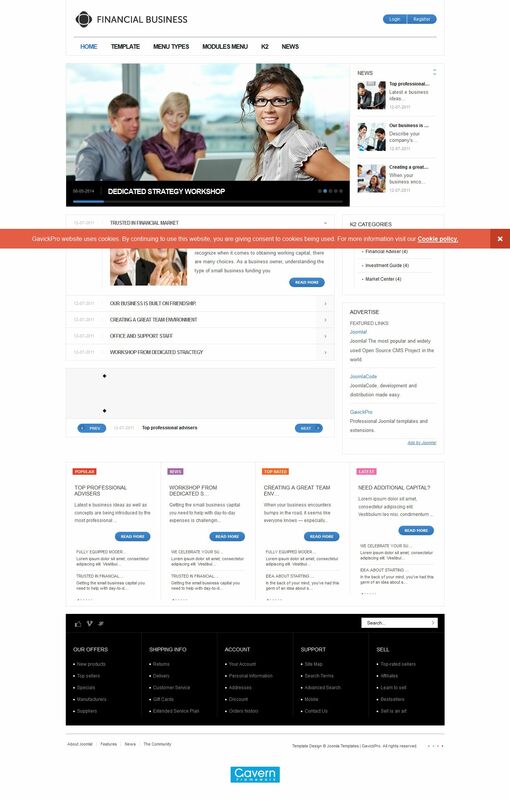 GK Finance - excellent business template developers GavickPro, designed for sites on CMS Joomla. Gorgeous design layout worked very qualitatively to the smallest details. Functional set of tools in the template presented by the use of a flexible framework studio, which is designed using the latest Web - technologies. In the installation package includes the best studio expansion, increasing the potential and possibilities of the template. GK Finance - a great solution for creating professional and modern sites.